A while back I read a trilogy by McCaffrey set in the world of Pern. While I enjoyed the series, I found much of it complicated and involved. However, as I did some more research, I found out that McCaffrey wrote a LOT of books that take place in Pern. I decided to start at the beginning and start reading through them and see if they made more sense that way. Apparently, even though the trilogy I read (Harper Hall) were technically a stand-alone trilogy, they are set later in the history of Pern than the Dragonrider trilogy, which is the first trilogy McCaffrey wrote. I’m working on reading the Pern books in their published order (which is roughly, but not completely, chronologically, from my understanding). 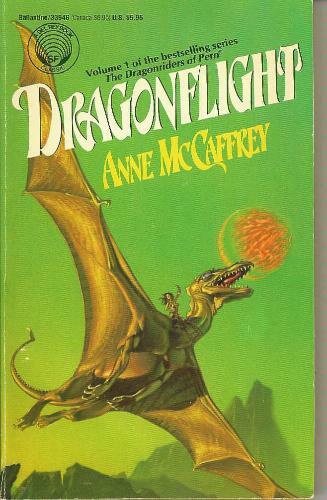 All that to say, Dragonflight is the first Pern book McCaffrey wrote, and I actually really enjoyed it. And, bonus, it made my retrospective reading of the Harper Hall trilogy more enjoyable as well, as a lot of what was going on in those stories make way more sense in the context of these earlier books. These are definitely high fantasy in the sense that the world-building is extensive and the tone is somewhat serious. However, besides the dragons, there really isn’t a lot of “fantasy.” The people of Pern do not have magic or wizards or spells or witches. They are simple farmers, craftsmen, and dragonriders. I’m looking forward to delving more into Pern; I just started the second book (Dragonquest) today. McCaffrey weaves a strong story, doing a good job of making Dragonflight a whole book while still building for the next. I originally read about this book in a review over at Reading, Writing & Riesling, so thanks!! Girl Missing is what I think of as a “lite” thriller. While there is definitely a mystery and some edge, I never reached a point where this book would have kept me up all night. It’s actually a really fast read, and a solid 3/5 for me. The protagonist, Kat, is a medical examiner. When a Jane Doe shows up at the morgue it isn’t too unusual – but when several more bodies crop up, Kat is afraid that a new drug of some kind is sweeping through the streets on the “bad” side of town. But because they’re “just druggies,” Kat’s boss, the mayor, and Kat’s ex-husband (who is also the DA), are way more concerned about the celebrating the city’s bicentennial and making themselves look good than they are about pursuing the possibly-but-not-proven connected deaths of some local lowlifes. Like I said, this was overall a decent read, but it lacked something for me. I never really felt connected with Kat or with what was going on with her. She was from that “bad” neighborhood, but we never really got a lot of back story as to how she got out. We’re told that her mother wanted her to be a doctor and come back to the neighborhood, but Kat is basically like “yeah, not for me” and that’s kind of the end of it. She meets a rich dude and they become the unlikely duo, but because Kat isn’t sure if she can trust him or not, I wasn’t sure if I could trust him or not, so I ended up not connecting with him, either. 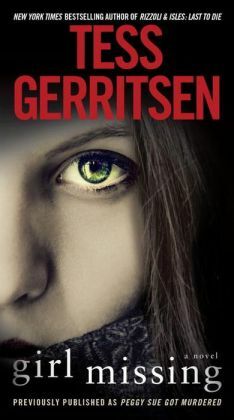 Somehow this book was just a little too fast, so it felt like a lot of things kind of glossed, and while the ending made okay sense, it didn’t make brilliant sense – I didn’t really feel like Gerritsen had given me a lot of clues, so it kind of felt random. Also, speaking of random, I was completely distracted by the original title and kept waiting for Peggy Sue… who never appeared. So yes, a definite middle-of-the-road read for me. Enjoyable, but not super engaging. It didn’t really drive me to read any of Gerritsen’s other works… does anyone out there have a suggestion for a favorite of hers that they think is a better representation of her writing?? I’m still working my way through all the Kjelgaard books that I own. Hidden Trail is a typical Kjelgaard read, with plenty of wilderness adventure. Jase is the hero of this story. He’s a photographer for the Conservation Department, and is assigned by the government to take pictorial record of various natural happenings in parks, national forests, etc. Along with his faithful companion, Buckles the Airedale, Jase heads out into the wilderness at the drop of a hat, often for weeks at a time. When our story opens, he is being sent to record the migration of elk from their summer feeding grounds in a big national park to their winter feeding grounds. Along the way, they have to face hunting season (outside the park), plus plenty of natural predators and dangers. However, a secondary project for Jase is figuring out why there are so many more elk at the summer grounds than the winter grounds. The difference (over a thousand elk) cannot be accounted for by hunters. How could that many elk simply disappear? Jase formulates a theory, and follows a rogue herd of elk east instead of south, encountering dangers – including poachers – along the way. This is an interesting little story, perhaps more interesting fifty years after it was written. Several pages are devoted to Jase’s careful choosing of various photographic equipment and explanations of how he can make it work despite cold and possibly damp weather. How far that kind of thing has come over the decades! While this is a great adventure, it bogs down a bit when Jase discovers that the Indians are hunting some of the elk illegally. He’s befriended by an Indian, then they are caught by poachers, then Jase escapes and then… his Indian friend is just gone for a while? And then shows back up? And then the whole story just ends really fast. So while it was a fun story, it felt a little disjointed and rushed at the end. Some of the time, Kjelgaard puts a little too much emphasis on conservation/natural history, interfering a bit with the flow of his story. This book wasn’t too bad, but there were definitely points where it felt a little preachy about the importance of preserving a natural balance. 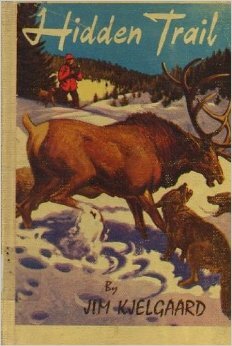 Still, I always enjoy Kjelgaard, if for no other reason than all the happy memories they bring back, of a time when I was convinced that my future life would be lived out in a small trapper’s cabin in the wilderness with no companions other than my faithful dogs! This entry was posted in Book Review, Children's, Fantasy, Fiction, Mystery, Sci-Fi, Thriller and tagged Anne McCaffrey, children's, Dragonflight, fantasy, Girl Missing, Hidden Trail, Jim Kjelgaard, mystery, Peggy Sue Got Murdered, sci-fi, Tess Gerritsen, thriller. Bookmark the permalink.